This quarter I am teaching a course on Counter-Reformation art. 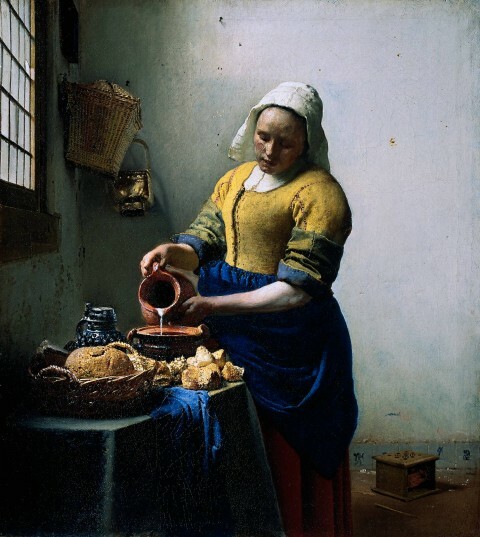 Before we reach the Baroque period, we are spending some time discussing Late Mannerist painters who were affected by the reformations taking place in the Catholic Church at the end of the 16th century. 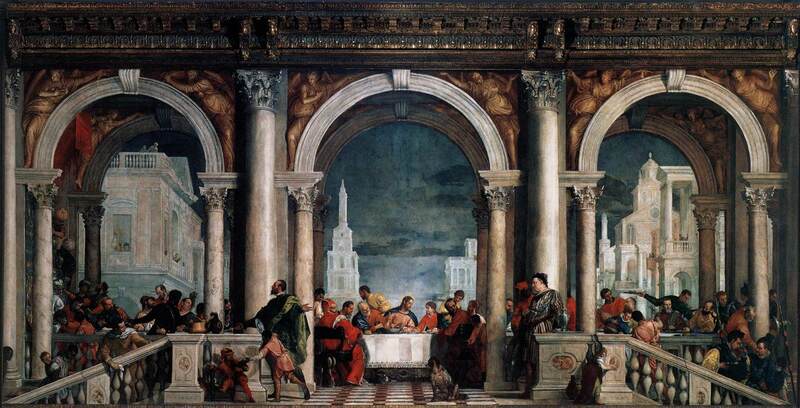 One such painter was Veronese, who was called before the Inquisition Tribunal in Venice to discuss the subject matter of his painting for the refectory of the Dominican monastery of Saints Giovanni e Paolo. This painting was originally called a depiction of the Last Supper, although there is some confusion as to whether this was supposed to be a depiction of Feast in the House of Simon.1 Nonetheless, the subject matter was considered to be offensive. The offensive subject matter included a buffoon (a dwarf dressed as a jester), foreign German soldiers, turbaned-foreigners, a man with a bloody nose, mangy dogs, and a man picking his teeth. 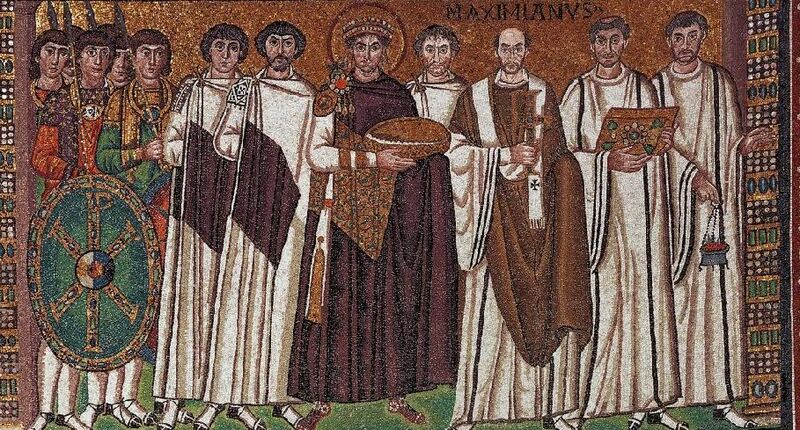 Such subjects were not found to be appropriate in a depiction of Christ’s Last Supper! 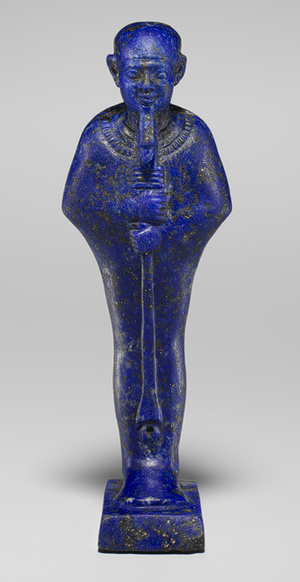 You can read a transcript of the Inquisitor’s question and Veronese’s responses on this .PDF file. This record of the interrogation was only discovered in 1867 when Armand Baschet happened upon this information in some archives.2 Before this point, we didn’t know that Veronese was called before the Inquisition Tribunal. We also don’t have a records for the contract for this commission, which also hinders our complete understanding of this piece. And, unfortunately, we’re not quite sure who complained about the painting so that Veronese was brought before the Inquisition tribunal. Personally, I think that it must have been someone at the monastery itself. I can understand why foreign soldiers would be offensive on a basic level, since such secular figures (particularly ones who are drinking) are not mentioned in the biblical account of Christ’s Last Supper (or the House of Simon, for that matter). However, I think that this topic should be considered in a little bit more depth. 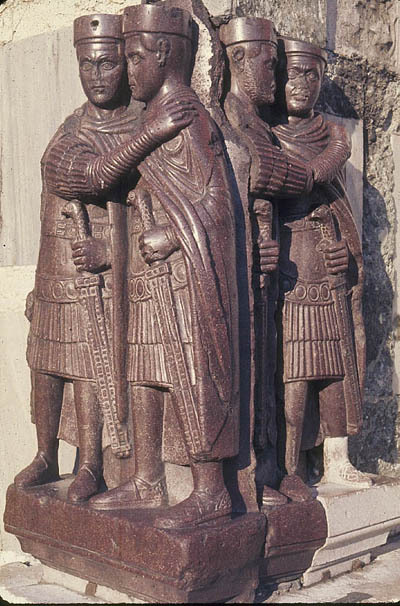 Up until now, I haven’t seen anyone make specific connections between these German soldiers and the Swiss soldiers which were lodged at the monastery just a few years before Veronese’s painting was completed. This fire destroyed Titian’s version of The Last Supper for the refectory, and Veronese was commissioned to replace this piece. 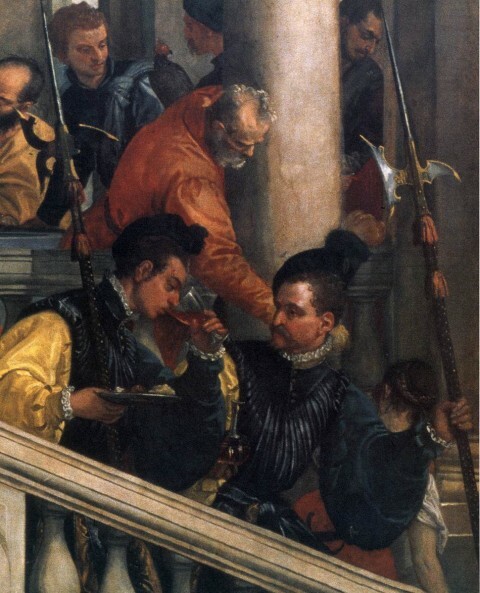 Perhaps authorities did not like the inclusion of foreign soldiers in Veronese’s painting for three reasons, then: 1) the secular nature of the soldiers, 2) the soldiers was a reminder of the recent fire and 3) the soldiers were a reminder of the lost Titian painting which necessitated Veronese’s commission! Veronese was ordered by the Inquisition Tribunal to modify his controversial painting, but it appears that the only modifications were small inscriptions in the foreground, on the posts at the end of each balustrade. These new inscriptions identify the subject matter as “Feast in the House of Levi.” This scene refers to a time in which Christ was criticized of associating with unsavory people while he dined. Christ replied, “I have not come to call the righteous to repentance, but sinners” (Luke 5:32). Without needing to repaint anything, all of Veronese’s “sinners” and inappropriate figures were justifiable, given the new title and setting! Perhaps by just changing the title of the piece, Veronese was taking modest revenge on the Inquisitors (or upon whomever complained about the painting). I have to admit, I think Veronese was quite clever and witty by making this minor switch. 1The Feast in the House of Simon refers to the scene in the Bible when Mary Magdalene comes to the house of Simon to bathe Christ’s feet with her tears and hair. The story is mentioned in all for our the Gospel books: Matt. 26:6-13; Mark 14:3-11; Luke 7:36-50; John 11:55-57; 12:1-11. Before creating his painting for the Dominican monastery of SS. 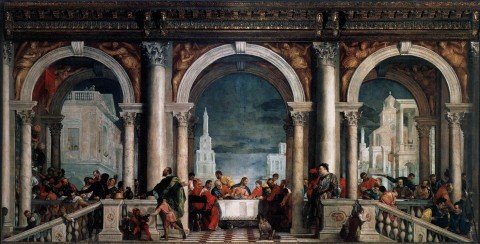 Giovanni and Paolo, Veronese depicted Feast of the House of Simon in paintings that now belong in Versailles (dated 1570-72) and the Pinoteca di Brera in Milan (dated 1567-70).